This article contains instructions on how to remove PopCorn Time ransomware and restore the .filock encrypted files. 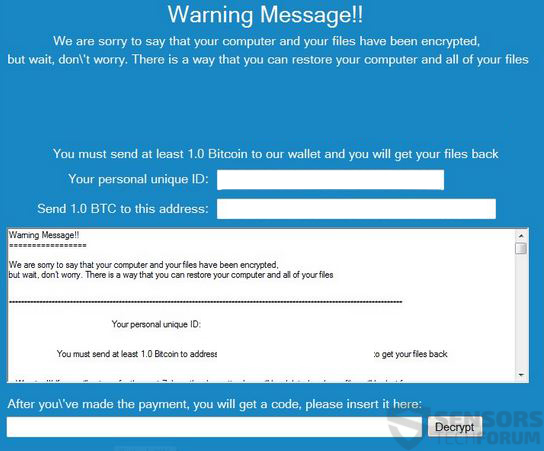 Ransomware, offering free decryption key to victims if they infect two other people has been reported to have increased infection rate on unsuspecting victims. 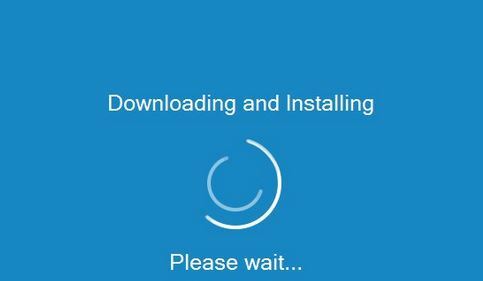 The virus demands 1 BTC from it’s victims and it has a screen pretending to be downloading and installing Windows updates, while in fact, the virus encrypts the files on the affected computers. Popcorn Time Ransomware is a virus that somehow has the name of a legitimate p2p program named Popcorn Time which aims to give users the ability to watch their favorite TV-shows for free with a click of a button and using torrent mechanisms. It has nothing to do with the ransomware Popcorn Time. In case you have become a victim of this virus, we strongly advise you to read the following article and hence learn how to remove this malware from your computer and try to restore your files without having to pay the ransom. Symptoms The user may witness ransom notes and “instructions” linking to an e-mail for contact. Changed file-extension has been used to .filock. User Experience Join our forum to Discuss Popcorn Time Ransomware. To cause a massive infection, PopCorn Time may take a different approach than the typical ransomware virus. The malware begins with infecting users via spam e-mails that may resemble legitimate e-mails from services like Amazon, PayPal, and others. These e-mails may have attachments on them along with a convincing body of the e-mail to open those attachments. 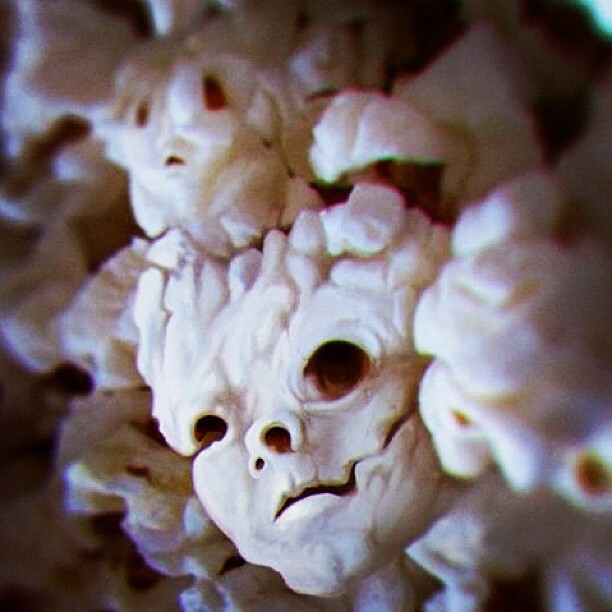 As soon as the user opens such attachments, he becomes immediately infected by Popcorn Time ransomware, and the files are encrypted. This new method of infection is outsourcing the spread of the ransomware on a user level, which is free and may prove to be very widespread with time and taken by many other ransomware makers. After the encryption the virus leaves it’s conventional ransom note which has instructions on how to pay the sum of 1.0 BitCoin and change to it from actual money. However, this virus also makes you turn on your buddies, offering to infect others instead of paying the ransom yourself. This nasty type of technique may have just worked for the cyber-criminals behind Popcorn Time ransomware because more and more infections are reported by this virus since the begging of December. To successfully get rid of Popcorn Time ransomware, users are advised to be extremely careful and use a professional malware removal software to successfully and fully remove the Popcorn Time ransomware from the infected computer. We have prepared instructions below to help users cope with this situation. To decrypt your files, dummy computers or virtual drives may be used to cause an infection by this ransomware and get your files decrypted by fooling the cyber-criminals you have succeeded. However, if this does not work, then we suggest to attempt out the alternative file recovery methods we have provided in step “2. Restore files encrypted by Popcorn Time Ransomware” below. Bear in mind that they are not fully tested, so you should backup your encrypted files before giving them a try. Threats such as Popcorn Time Ransomware may be persistent. They tend to re-appear if not fully deleted. A malware removal tool like Combo Cleaner will help you to remove malicious programs, saving you the time and the struggle of tracking down numerous malicious files. Threats such as Popcorn Time Ransomware may be persistent on your system. They tend to re-appear if not fully deleted. A malware removal tool like SpyHunter will help you to remove malicious programs, saving you the time and the struggle of tracking down numerous malicious files. Note! Your computer system may be affected by Popcorn Time Ransomware and other threats. SpyHunter is a powerful malware removal tool designed to help users with in-depth system security analysis, detection and removal of threats such as Popcorn Time Ransomware. 1. Install SpyHunter to scan for Popcorn Time Ransomware and remove them. 2. Scan with SpyHunter, Detect and Remove Popcorn Time Ransomware. Ransomware infections and Popcorn Time Ransomware aim to encrypt your files using an encryption algorithm which may be very difficult to decrypt. This is why we have suggested several alternative methods that may help you go around direct decryption and try to restore your files. Bear in mind that these methods may not be 100% effective but may also help you a little or a lot in different situations. Note! Your computer system may be affected by Popcorn Time Ransomware or other threats. Remove Popcorn Time Ransomware by cleaning your Browser and Registry. Fix registry entries created by Popcorn Time Ransomware on your PC. Combo Cleaner is a powerful malware removal tool designed to help users with in-depth system security analysis, detection and removal of threats such as Popcorn Time Ransomware. Step 5: In the Applications menu, look for any suspicious app or an app with a name, similar or identical to Popcorn Time Ransomware. If you find it, right-click on the app and select “Move to Trash”. Step 6: Select Accounts, after which click on the Login Items preference. Your Mac will then show you a list of items that start automatically when you log in. Look for any suspicious apps identical or similar to Popcorn Time Ransomware. Check the app you want to stop from running automatically and then select on the Minus (“–“) icon to hide it. Remove Popcorn Time Ransomware – related extensions from your Mac’s browsers. A pop-up window will appear asking for confirmation to uninstall the extension. Select ‘Uninstall’ again, and the Popcorn Time Ransomware will be removed. When you are facing problems on your Mac as a result of unwanted scripts and programs such as Popcorn Time Ransomware, the recommended way of eliminating the threat is by using an anti-malware program. Combo Cleaner offers advanced security features along with other modules that will improve your Mac’s security and protect it in the future. Hey !, I found this information for you: "Popcorn Time Ransomware – Remove It and Restore .filock Files". Here is the website link: https://sensorstechforum.com/popcorn-time-ransomware-remove-restore-filock-files/. Thank you.